So you’re thinking about buying your first investment property. Real estate investing has made a lot of people into millionaires. But you do need to be aware that there is considerable risk involved, even with the less-risky way of starting out with rental property. So you need to proceed slowly and cautiously and armed with some basic knowledge. With that in mind, we’ve prepared this short guide to buying your first investment property in Reno Nevada that highlights the key concerns for those just getting started in real estate investment in the Reno Nevada area. Any guide to buying your first Reno Nevada investment property should begin by helping you determine whether it’s right for you, especially with respect to rental property. So . . . is it? Being a landlord is not a job for the faint of heart. Besides having to cover – every month – your mortgage payment and operating costs, you’ll have to deal with tenants. You will have to acquire them, collect from them, and, on occasion, evict them. You need to ask yourself whether you’re really willing to deal with all this. In addition, investing in real estate can be risky. There’s more risk than investing in the stock market, but there’s also the opportunity to see a greater return on investment. On average, the gross return for rental investors is around 10%, whereas stocks yield only 4% to5% at best. But, then, if you wind up with bad tenants who don’t pay, well . . .
It’s always best to get pre-approved for a mortgage loan before you begin looking at potential properties. You will know ahead of time what you can afford, and when you find a good deal in your price range, you can jump on it ahead of other investors. 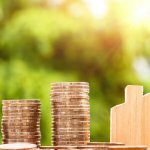 The next, and maybe the most important, step in our guide to buying your first investment property in Reno involves determining whether the property you’ve selected will yield a good return on investment (ROI). You can get an idea of this by looking into the property’s net annual income. Then, if your expenses are mostly aligned with the current owner’s, your potential ROI should be about the same. With rental property, you can use the “rule of 1%.” This rule states that the monthly rent should be at least 1% of your purchase price. If you can get that much in rent, then you are likely to see an adequate ROI. Getting a good ROI on your first investment property will help you with sustainable investment growth. Our guide to buying your first investment property in Reno touched on this above, but there’s still more to it. Many people have the business acumen to become successful real estate investors, but they just aren’t cut out to be landlords. If you happen to be one of these, you still have options. You can hire a property management company to take care of the landlording tasks for you. They will even handle the eviction process if that’s needed. You will have to pay them a fee, but you’ll also be free of those headaches and have more time to concentrate on other areas of your investing business. Keep in mind that this is just a brief guide to buying your first investment property in Reno – that is, it just highlights the most important points for first-time investment-property buyers. But, hopefully, it will be enough to help you get started and make a wise property choice to buy the best investment properties in the Reno, Nevada area. If you are looking into buying your first investment property in the Reno Nevada area, Contact me today. You can email me here or call me at 775-525-0980.